just have a LOT of them. A butterfly above your behind ? Wow she just puts her personal story out there detailing how she acted like an easy lady. No wonder her teenage sons friends are all following her on Twitter. If anyone has audio that needs to be cleaned up, I have some heavy-duty software that'll usually do minor miracles on my shop machine. Get with me via PM and I'll see what I can do this weekend. Wish I could have heard it live... no, no I don't. My allergy to stoopid would have kicked in big time. Um, I've met and shot the # with, or had dinner with, or become long term buds with a number of "celebrities", at least they are/were to me. I'm not sure it makes me a great person. In fact I'd have to say it hasn't got squat to do with that. But maybe she needs affirmation. These guys/ladies aren't me. I can't claim I'm superman because I know them. This sort of # always seems bizarre to me. I have an ex-wife that always has to be in the very front at a concert...up against the stage. Then, she would come off with remarks like, "Ooooh, he looked at me!" or "He smiled at me." Then I would remind her that looking at the crowd is part of the job of a performer and that the guy does shows like that 3 or 4 nights a week while he is on tour and that some goofy woman is up front saying the same silly # as she is. 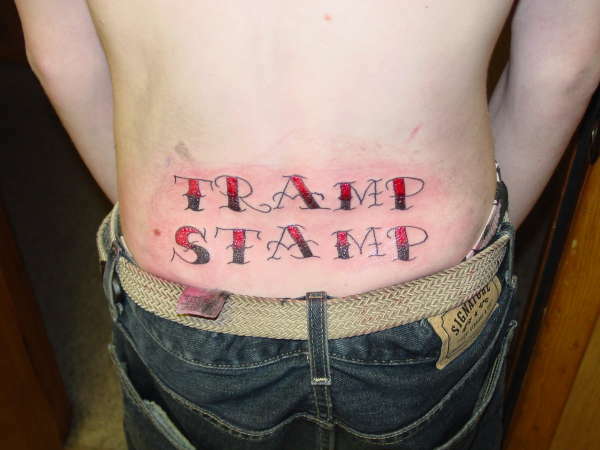 Oh come on....you know you have the tramp stamp...we won't hold it against ya! Bwaaahahaha! Oh that is awful. I mean I get that this dude likely did it for a joke, but that is seriously one joke I would regret very quickly. I get all my work done by two guys....one trained the other. One in Atlanta and one is in Boone, NC. The one in Boone did a huge back piece for me...so back story...when I was 14 a sitter took me to get my first tattoo...I loved tigger the tiger so I got him close to my left shoulderblade...obviously bad decision.....fast forward....getting a weekend worth of work done on my back from my guy in Boone. 4.5 hours of outline one day then 8 hours of color the next. I get up and use the mirror to check it out and right there still visible is Tigger....I looked at him and called him a DlCK...he laughed and said no matter what he would not cover someone's first tattoo...LOL! We became great friends.